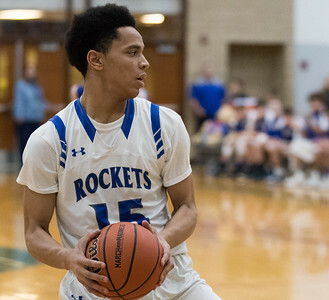 Whitney Rupp for Shaw Media Dejsani Beamon of Burlington Central waits for an attempt to steal the ball from Johnsburg’s Zach Toussaint during the Class 3A sectional semifinal game Tuesday, March 6. 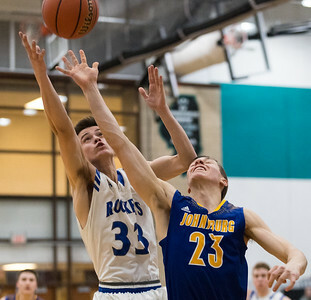 Whitney Rupp for Shaw Media William Hough of Burlington Central outreaches Johnsburg’s Brody Frazier in the third quarter of the Class 3A sectional semifinal game Tuesday, March 6. 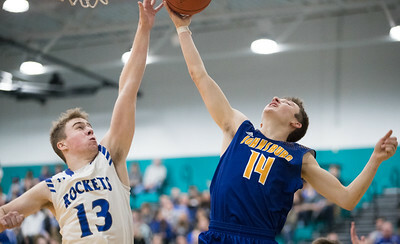 Whitney Rupp for Shaw Media Patrick Mayfield of Burlington Central guards Johnsburg’s Zach Toussaint in the Class 3A sectional semifinal game Tuesday, March 6. Whitney Rupp for Shaw Media Jayvon Johnson of Burlington Central collects a rebound in the Class 3A sectional semifinal game Tuesday, March 6. 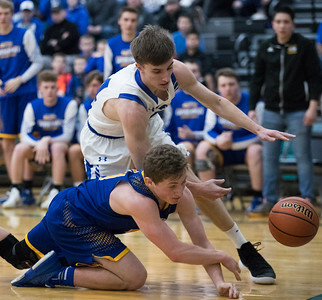 Whitney Rupp for Shaw Media Zach Schutta of Burlington Central fights to keep the ball inbounds alongside Johnsburg’s Alec Smith Tuesday, March 6 in the Class 3A sectional semifinal game. Whitney Rupp for Shaw Media Patrick Mayfield of Burlington Central collects a rebound in the Class 3A sectional semifinal game Tuesday, March 6. 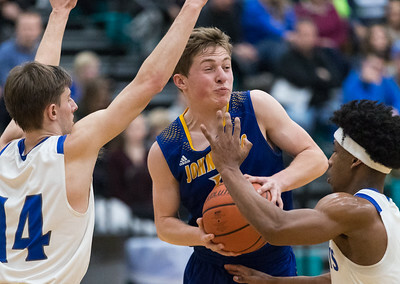 Whitney Rupp for Shaw Media Burlington Central’s Jake Lenschow eyes the ball after Mason Sobiesk of Johnsburg loses control in the Class 3A sectional semifinal Tuesday, March 6. 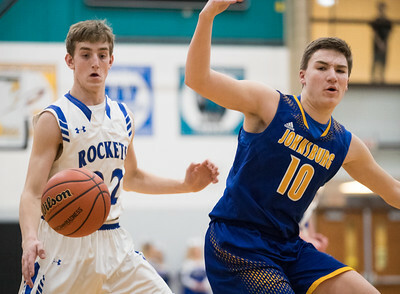 Whitney Rupp for Shaw Media Caden Scott of Burlington Central tries for a block against Johnsburg’s Zach Toussaint Tuesday, March 6 in the Class 3A sectional semifinal game. 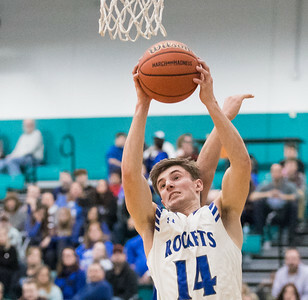 Whitney Rupp for Shaw Media Zach Schutta collects a rebound for the Burlington Central Rockets Tuesday, March 6 in the Class 3A sectional semifinal. 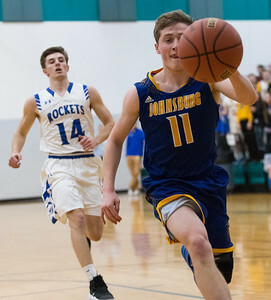 Whitney Rupp for Shaw Media Johnsburg’s Alec Smith breaks away with the ball before running it out of bounds in the second quarter against Burlington Central in the Class 3A sectional semifinal Tuesday night. 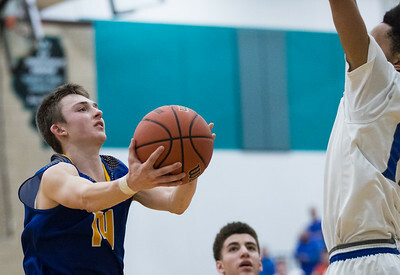 Whitney Rupp for Shaw Media Zach Toussaint of Johnsburg drives in for a shot in the third quarter of the Class 3A sectional semifinal Tuesday, March 6. 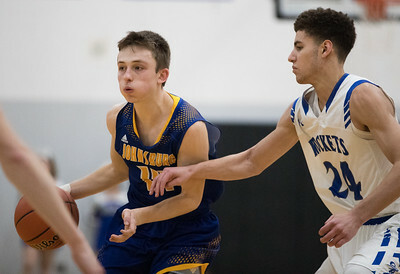 Whitney Rupp for Shaw Media Zach Toussaint of Johnsburg scrambles to keep the ball out of the hands of Burlington Central’s William Hough in the fourth quarter of the Class 3A sectional semifinal Tuesday, March 6 at Woodstock North High School. 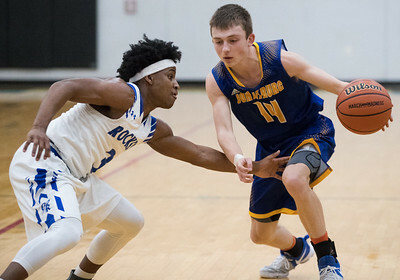 Whitney Rupp for Shaw Media Johnsburg’s Alec Smith is surrounded by Burlington’s Zach Schutta, left, and Dejsani Beamon during the fourth quarter of the Class 3A sectional semifinal Tuesday, March 6, at Woodstock North High School. 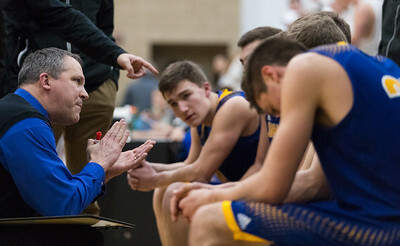 Whitney Rupp for Shaw Media Skyhawks head coach Mike Toussaint speaks to his team during the fourth quarter of the Class 3A sectional semifinal Tuesday. 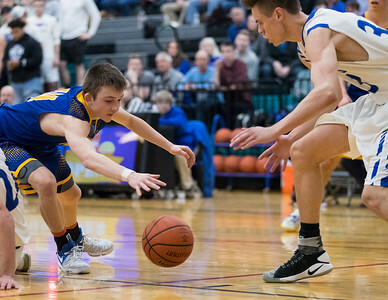 Whitney Rupp for Shaw Media Johnsburg senior Brody Frazier leaves the court during his final game as a Skyhawk Tuesday, March 6 at the Class 3A sectional seminfinal. Whitney Rupp for Shaw Media Burlington Central fans cheer behind the Johnsburg Skyhawks bench in the final minutes of the Class 3A sectional semifinal game Tuesday, March 6. 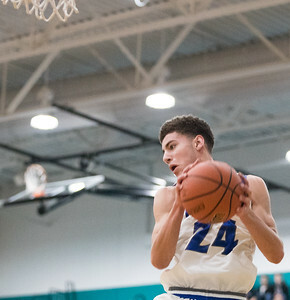 Jayvon Johnson of Burlington Central collects a rebound in the Class 3A sectional semifinal game Tuesday, March 6.